Do you have any knowledge of Bosnia and Herzegovina? It is time for you to learn about one of the most prominent lotteries in the country-the Bosnia and Herzegovina SuperLOTO game. This game has been around for some time and has given tons of people the chance to win some cash. The most intriguing and fun aspect of this lottery game is that it combines the standard numerical format with an optional game thereby resulting in a more exciting experience. Players get the opportunity to take home the Super Jackpot when they participate in the SuperLOTO. The history of the Balkan region has been a long and turbulent one and the same is applicable to the lottery games in Bosnia and Herzegovina. The origin of the SuperLOTO can be traced back to a very long time ago. The game was launched in 1962 and originally, it was recognized as the Loto. It was one of the games that were part of the portfolio of Bosnia and Herzegovina, which belonged to the Yugoslavia lottery at that time. The format of the original Loto game was the standard 6/49, but this was changed over time. Now, the format has been changed to 6/45 format and another change has been made. A color pick option has been introduced that allows players to win the Super Jackpot. The Lottery of Bosnia and Herzegovina supervises and organizes the SuperLOTO and it also has the responsibility of payment of prizes. As far as the drawings are concerned, there are two draws conducted in a week, on Tuesdays and Saturdays at 1910 hours. People can buy a ticket for the SuperLOTO on the date of the drawing as well, but only until 17 30 hours. As people know very little about Bosnia and Herzegovina, a lot of players doubt the legitimacy of the SuperLOTO. Bosnia and Herzegovina has had decades of lottery history. Originally, the organization was established in 1951 and was part of the Yugoslavia lottery. Loto was one of the earliest games introduced by the organization. Self-management rights were granted to lottery organizations in Yugoslavia in 1973. Thanks to this transformation, the Bosnia and Herzegovina Lutrija enjoyed a great deal more autonomy and used it for launching a number of new games. 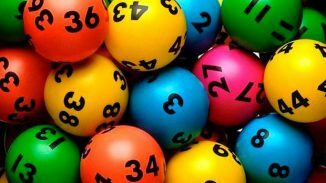 Today, some of the most prominent entries in the lottery organization’s portfolio include TV Bingo, Igraj!, Automati, eSrecke, Casino and Loto 5/39. The official Lottery of Bosnia and Herzegovina organizes and supervises all these lottery games. As it also has the responsibility of distribution of prizes, players can rest assured that they are not being scammed. The organization celebrated its 60th birthday in 2011, which is a serious landmark for the lottery. As mentioned above, the SuperLOTO is like a standard lottery game, but comes with a bit of a twist for added interest. When you want to participate in this game, you should know that it consists of two parts. First, there is a basic game known as LOTO 6/45 and then there is a Select Color game. In order to play the basic game, a player is required to purchase a lottery ticket from a retailer authorized by the Lottery of Bosnia and Herzegovina. A pay slip will be provided to you on which you are required to mark 6 numbers from a range of 45. For participating in the Select Color game, you need to select a color between red and black. The cost of choosing the six numbers is 0.5 Convertible Mark (KM) and for choosing the color is 0.2 Convertible Mark (KM). The SuperLOTO game also has three types of auxiliary sheets. First, there is the Ordinary Help List, which has a total of 10 group fields or a total of 10 number combinations. The second is the System Auxiliary Card, which has one group field and you can play it by choosing 7 to 16 numbers. The last is known as the Partial System Tray, which also comes with one group field and players are allowed to choose anywhere between 9 and 23 numbers and select the percentage of payment that can be 10%, 20%, 30%, 40%, 50% and 60%. Obviously, it is going to cost you more when you decide to go for Combination or System plays. However, it is a fact that with a System play, you can win multiple prizes from just one draw. As stated earlier, the standard draw is conducted two times a week i.e. on Tuesday and Saturday, but there are additional and special drawings also held for the SuperLOTO. These special drawings might be announced for a specific holiday. In such situations, it is possible for players to double the cash amount they can win. Every now and then, additional games are also launched, which feature special prizes. Some of the items that players can win through these games include smartphones, tablets, cameras and numerous others. For taking home the biggest prize in the SuperLOTO draw, players are required to match all six numbers correctly. However, if you want to win the Super Jackpot, you not only have to match the six numbers, but also the color drawn. Players have the option of choosing the numbers they wish to play manually, but if you don’t want to do so, there is also the Quick Pick option available. In this system, the computer terminal will generate a selection of random numbers for you to play in the draw. If you wish to play a certain number combination in more than one SuperLOTO draw, there is the option of Subscription that can make things easy for you. You can decide the number of draws you want to play the combination in. SuperLOTO enables players to participate in anywhere between 2 to 8 draws in advance. You will get a ticket for the SuperLOTO when you hand over the pay slip along with the respective payment. There are two ways through which the payment can be made; via the pay slip or through the online portal. Once you have received your SuperLOTO ticket, it is essential to keep it secure. This is due to the fact that the ticket is a bearer document, which means that anyone who comes across it can use it for claiming a prize. It is recommended that the ticket be signed at the back to prevent anyone else from using it. When you should receive your ticket, you need to ensure that it mentions the name of the game you are playing such as the SuperLOTO, the draw date, the date of purchase, the amount paid for the ticket, the mode of play, the serial number of the ticket and the numbers you have selected. If there is any error, you need to get a new ticket issued to avoid problems in the future. The sale of the tickets on the date of the draw are stopped at 1710 hours so the SuperLOTO draw can be conducted easily. Once the draw is over, the ticket sales are resumed. When the draw is held, invitations are issued to several people. This includes the Bosnia and Herzegovina SuperLOTO officials, auditors, members of the public, representatives of the government and the press. The entire event is broadcasted live on the Federal Television Program. This is to ensure the integrity and transparency of the betting process. The drawing machines are checked before the SuperLOTO draw begins and a standby machine is also available in case some of the others become dysfunctional. Before the machines are used in the draw, they are checked for bias. Immediately after the SuperLOTO draw is over, the results are made public through the press and the official website. The results are also send to the numerous authorized SuperLOTO outlets where players can go and check whether their ticket has secured a prize or not. The highest prize in the SuperLOTO game is the Super Jackpot and in order to win it, you need to match the six numbers as well as the chosen color. The second prize is the LOTO 6/45 jackpot and it is paid out to players who are able to match the six numbers correctly, but don’t match the color. The third prize in the SuperLOTO game can be won by a player if they match five numbers correctly and also the color. If you are able to match the five numbers right, but don’t get the color correct, you will win the fourth prize. The fifth prize is issued to players who are able to match the four numbers and also the color drawn correctly. Players have to match just the four numbers and not the color in order to claim the sixth prize. Matching three numbers and the color in the SuperLOTO draw will allow a player to win the seventh prize. The last and eighth prize can be won if a player is able to match three of the numbers correctly and not the color. If you decide to play through the partial system, the percentage of payment will determine the amount you win in the SuperLOTO. For instance, if you have paid 10 percent, your winnings will also be 10 percent of the total prize. This means that if you win the Super Jackpot, you will be able to take home 10 percent of the prize. There is another option of winning that players can enjoy when they are participating in the SuperLOTO and this is known as the JOKER. This is not just an additional way to win, but also an optional method. In order to participate in the JOKER, you have to pay for at least one combination and choose the JOKER option on your ticket. Players are given the option of playing three JOKER numbers. One number is already printed on the pay slip and the other two are selected through the Quick Pick option. The price for every JOKER number is 1KM. After you discover that you have won a prize in the SuperLOTO game, you can visit the authorized outlet to get instructions on how to claim your prize. Participants should know that they have approximately 30 days from the date of the draw to claim their prize. Some of the prizes can be claimed directly from the outlet while you may have to go to the regional office or head office for others. Bear in mind that you need to have your identification documents as well as the ticket for claiming your prize or else it will not be paid out to you. Other than that, lottery players should be aware that a 10 percent income tax is applicable in Bosnia and Herzegovina on prizes that exceed 100,000 convertible marks. As far as the smaller prize tiers are concerned, they are paid out to the players free of any tax. When it comes to odds of winning the standard 6/45 game are concerned, they are 1 in 8,145,060. But, the addition of two colors can make things tougher and the odds of winning the Super Jackpot are 1 in 16,290,120. The biggest jackpot in the history of the SuperLOTO fell on July 14. A lucky player was able to match the six numbers as well as the color to win a total of 983,190 convertible marks. A 10-number and the color combination was chosen by the player and the ticket had cost 7 convertible marks. A second massive award was paid out before the drawing of the biggest jackpot in SuperLOTO and this was about 978,425. The lowest prize that players can win in the SuperLOTO game is 3.95 convertible marks and the amount won in the other tiers of the game depends on the number of tickets that are sold as well as the number of winners in the respective tier.